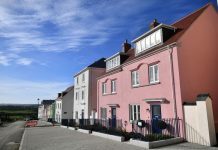 WHETHER you’re a first-time buyer, a second-time mover or a buy-to-let investor, Brexit uncertainty is probably the biggest single factor affecting your property decision-making. Should you buy, sell or wait until the impasse ends? Bobby Singh, founder and owner of Birmingham-based Love Your Postcode, the UK’s leading independent estate agent, spoke to Eastern Eye about Brexit, investing in real estate and Birmingham’s fast-growing property market. What effect do you think a no-deal Brexit will have on UK property prices? If there isn’t a deal, people will panic and prices will go down by up to 10 per cent in the first year. I can’t imagine it will be more than that, though I can’t say what would happen after the first 12 months. You would need a crystal ball to see further than that into the future. Are a lot of people holding back on buying right now because they fear prices will go down? Some are, but it depends on who they are. There is a time and place to buy and, given all the Brexit uncertainty, now is not necessarily the best time from an investment perspective. Some of the smart investment money is waiting. A lot of property investors believe they will be able to snap up amazing bargains if we crash out. So are any investors buying now? Oh, definitely, and they are using the uncertainty of the current Brexit situation to exert maximum leverage on sellers; in other words, they are buying now, but using Brexit uncertainty to get sellers to lower their prices. What about people who are not investors, such as first-time buyers? On the whole, they are not waiting and the reason is they can lock themselves into some pretty good long-term interest rates for five or even 10 years; and that is preferable to waiting and paying what could be sky-high interest rates after a no-deal. Also, the Help to Buy scheme is still available to first-time buyers and no one knows if it will still be running after Brexit, so people are taking advantage of the scheme and buying now. What about people who want to move home? Are they delaying until after we leave the EU? Again, on the whole, no. Movers tend to have a necessity to upsize now, or they may need to be closer to schools for growing families. We’re finding the home mover market is pretty resilient and still growing. And again, people are locking themselves into some pretty good mortgage rates. However, I would qualify that by saying that when it comes to the really expensive properties, say the £750,000 to £1 million mark and more, home movers are delaying a bit. What kind of people are buying the really expensive properties in Birmingham? 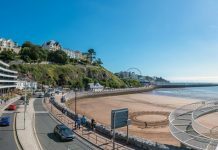 Mainly super-rich international buyers, and they have been picking up some deeply discounted properties, using the situation of the pound dropping in value by 20 per cent recently to their advantage. And as a business, that is actually our fastest-growing market. Apart from high prices, what characterises the properties that this group are buying? Most of the enquiries we get from overseas tend to be along the lines of buying multiple units in new developments. They are either looking at a block of properties or an expensive property of around £1 million. Are they buying to let? Yes, they are buying with a view to medium term rental. And they are largely looking at relatively modern, spacious and thought-through developments with world-class interior design, ready-packaged-to-go with fixtures and fittings all in place so they can assign the properties conveniently to an agent to manage. Are these the people using Brexit as a bargaining chip to get discounts? That’s right, and they are also using the over-development going on right now in Birmingham as a means to negotiate. Well, right now there is a slight over-supply in Birmingham and that is because, as I already pointed out, some people are holding back because of Brexit. At the same time, Birmingham is enjoying a fantastic property boom – it’s a great property bet for investors. Right now, you can see about 20 skyscrapers on the Birmingham city skyline and the town has a great commercial structure as well as connectivity to support that. Businesses want to come here because it’s cheaper than London and workers and families want to come here because there are jobs. Actually, businesses can run here at about a third of the cost compared to London. So businesses and people are flocking here and all of that is creating a wave in anticipation of Brexit. 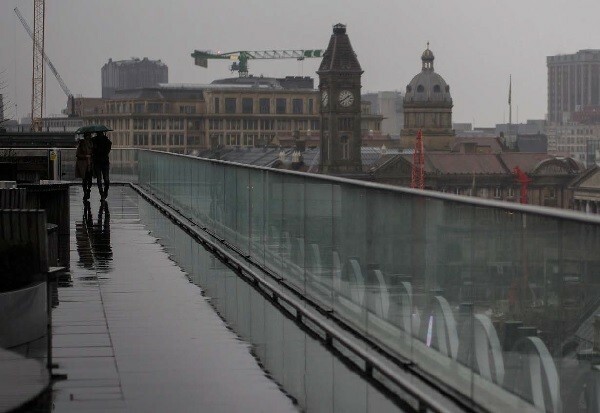 Is it a case of, as London cools, Birmingham is hotting up? Yes, it is. I mean, we are getting a lot of enquiries from Europe right now from people who want to get into the UK before the gates close and they feel Birmingham, unlike London, is a place they can afford, while it also offers employment. And the other level of interest is from international and national investment funds because they are looking at Birmingham as a golden opportunity. In fact, I would say that around 40 per cent of our enquiries are coming from London now, either as investors or homebuyers. Finally, what would be your advice to a person with a bit of savings? Would you advise them to invest in property? Yes, it is always a safe long-term bet and I feel it is especially viable for professional landlords who are running their portfolios as a business.